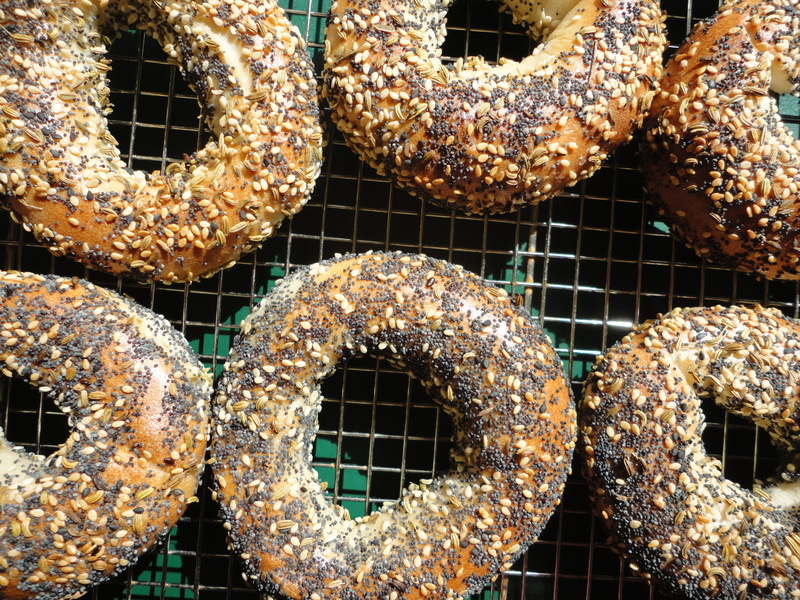 I have been wanting to make a batch of bagels for a while now so this morning, that’s just what I did. 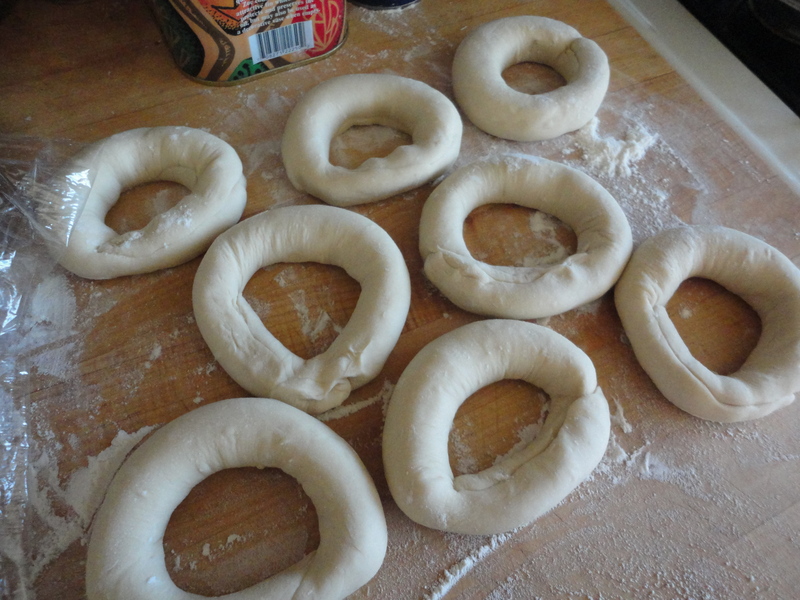 Bagel dough is quite stiff and I don’t have a stand mixer in my current kitchen so I alternated kneading the dough with a hand-held mixer and by hand. (So I wouldn’t wear out the motor or my wrist.) I just made a small batch so it wasn’t too bad. 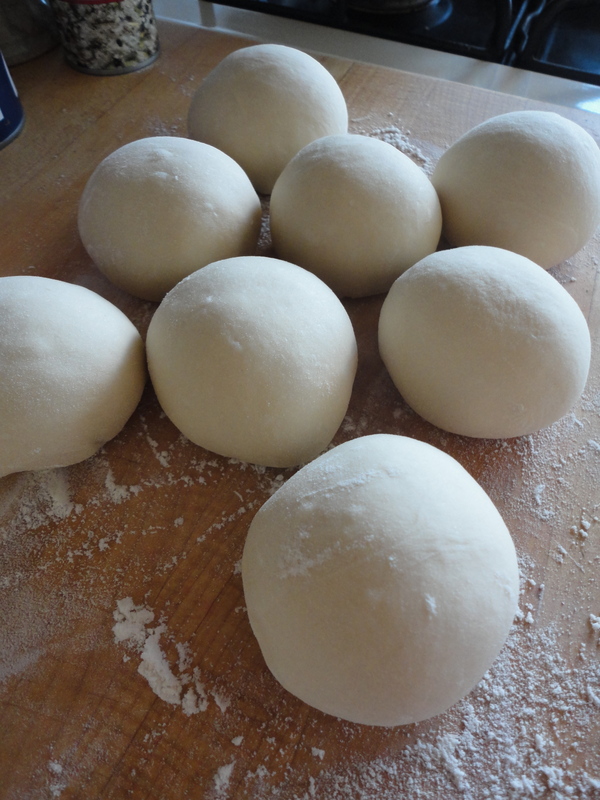 Another hour and they were ready to boil and bake. 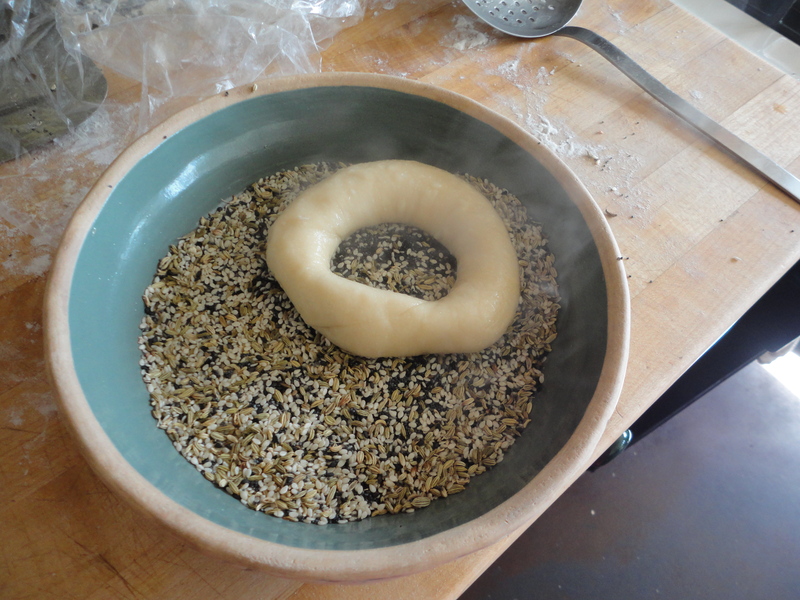 I set up my station; water boiling on the stove, a seed tray with my favorite seed blend sesame/poppy/fennel, a cast iron griddle in the oven, and a cooling rack. 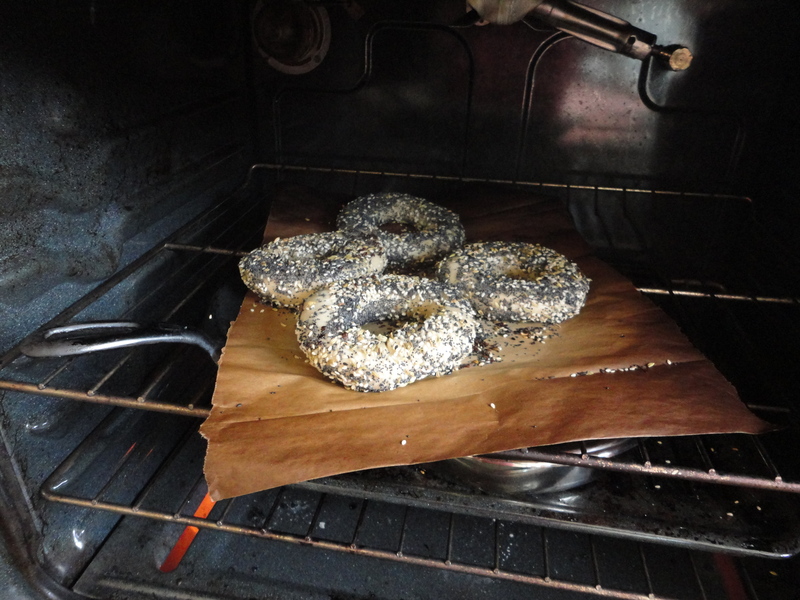 First I popped the bagels in the water for about 30 seconds…. 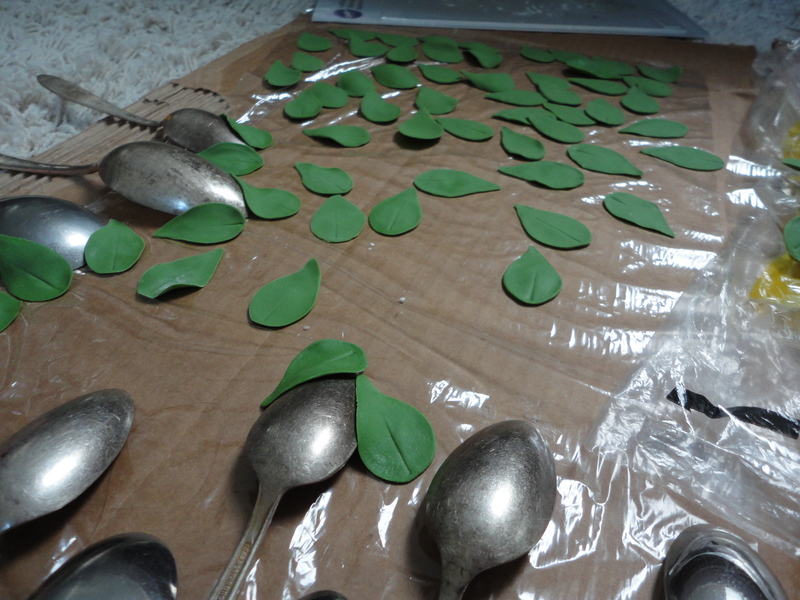 Then I coated them in seeds, lots of seeds. They baked for about 15 minutes with a flip after about 2. While I was in baking school we used a recipe for carrot cake that quickly became my favorite. It has buttermilk in it and is quite moist. 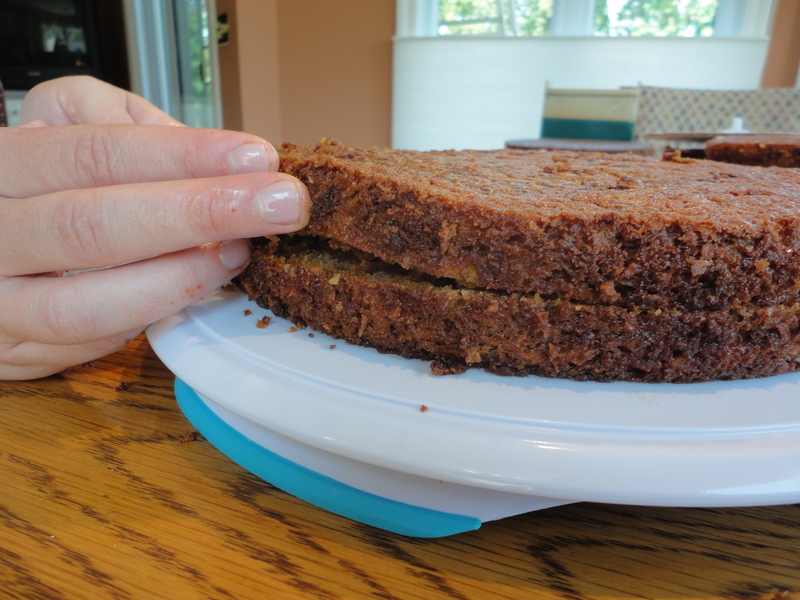 The original recipe calls for walnuts but we chose to exclude them. 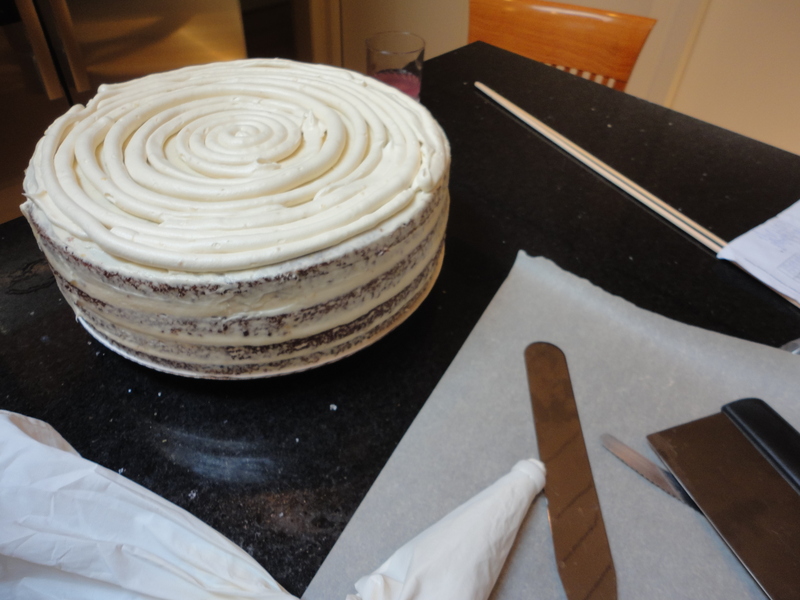 Each tier was 4 layers, two cakes split in half, each layer was filled with cream cheese frosting. 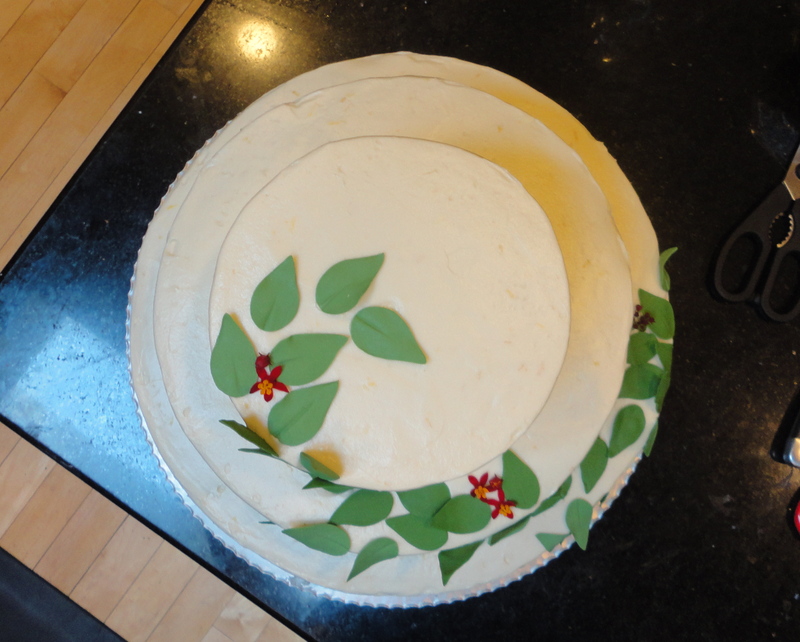 I did a thin crumb coat before the final coat of frosting. 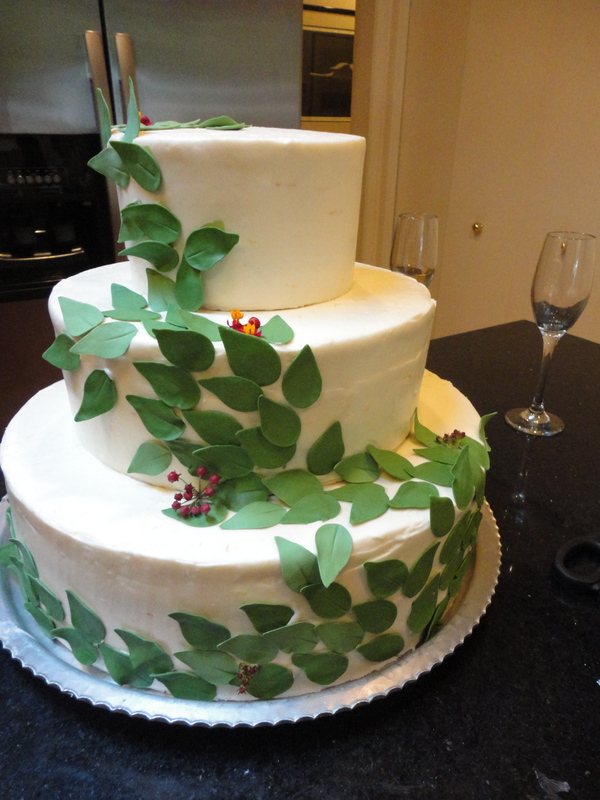 Finally I decorated it with the gum paste leaves. I also had a few fresh flowers leftover from the bridal bouquet so I snuck a few on as well. 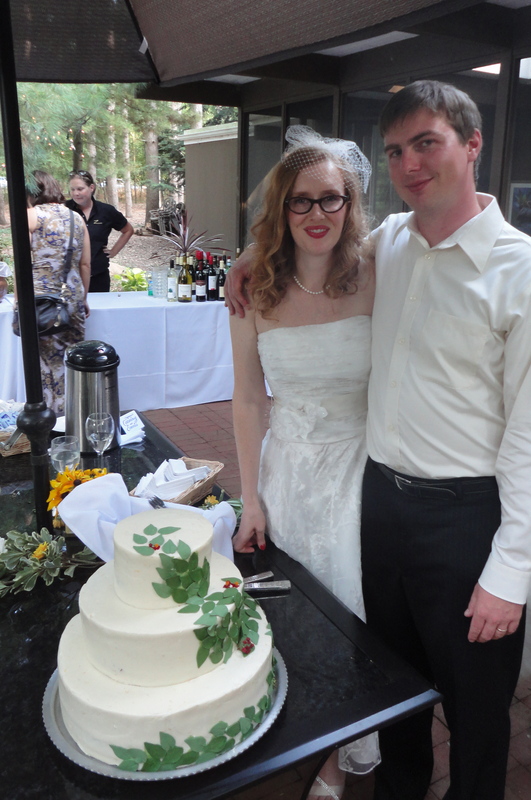 The bride, the groom, and the cake. Last weekend I had some friends over for brunch. 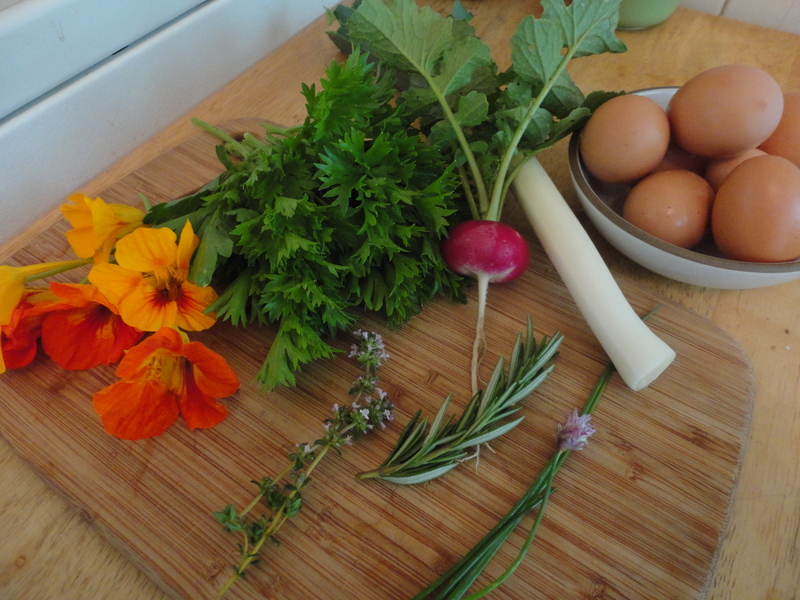 I picked some goodies out of the garden and brunch began to unfold. I had been craving this carrot salad so I made some using the parsley. I sliced the radish and tossed it with some english cucumber and salt for another fresh treat, perhaps now is a good time to mention that I love salads. 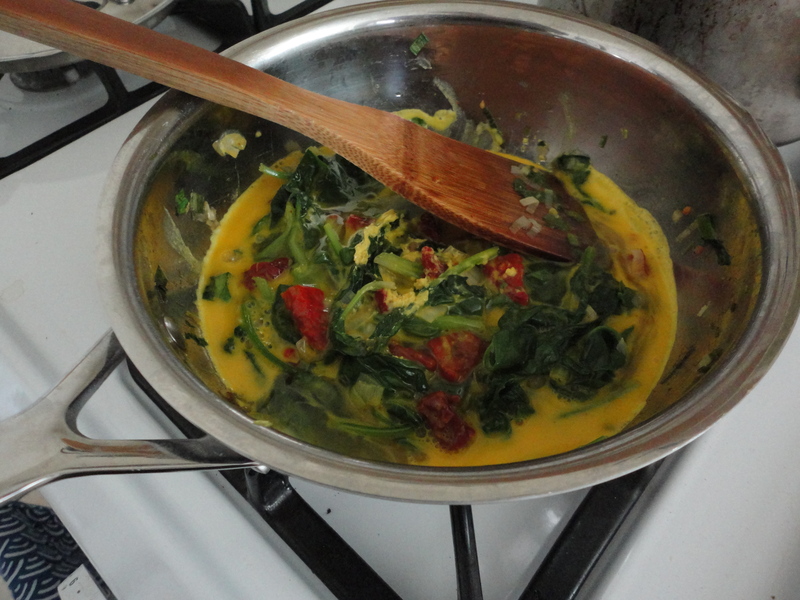 We also made some gently scrambled eggs with garden leeks, spinach, sun-dried tomatoes and capers. 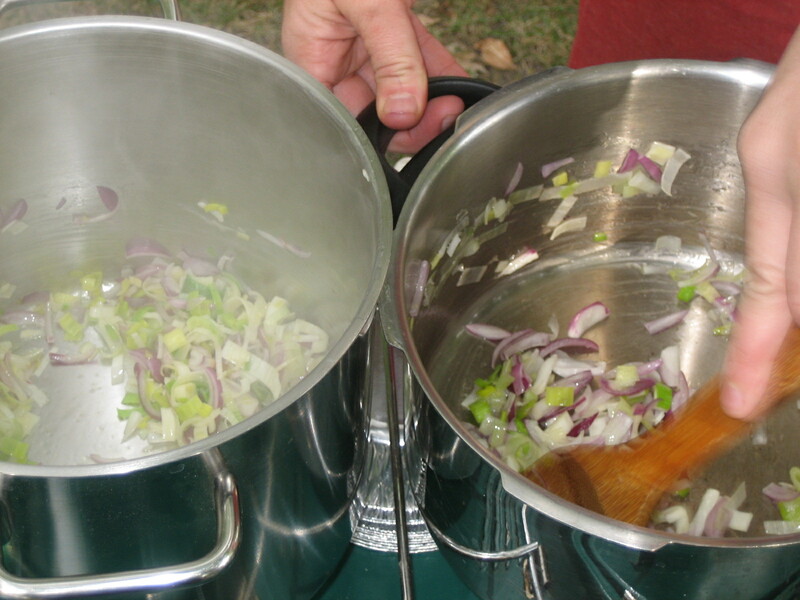 I tossed a sprig of thyme and rosemary in with the leeks to give some aroma and extra flavor. K and A brought over some delicious Humboldt Fog goat cheese, a perfect accompaniment to the Whole Emmer (Wheat) Sourdough I had made the day before. 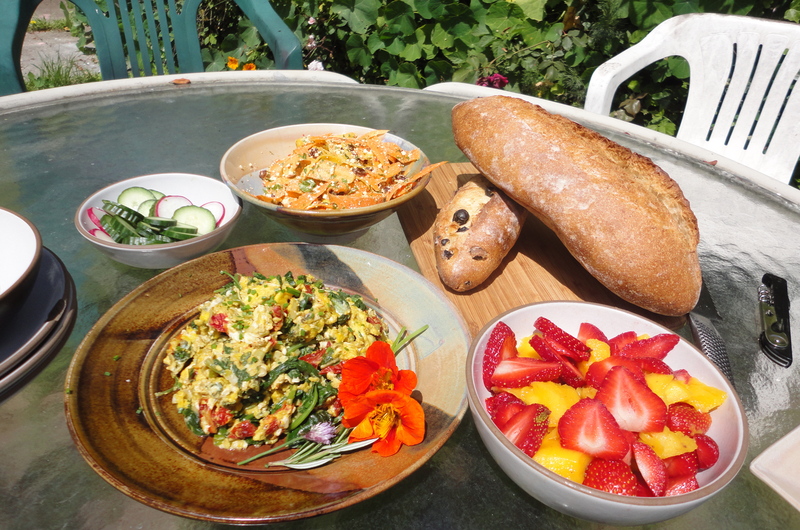 Between the brunch and the lovely sunny weather, we had a perfect picnic. 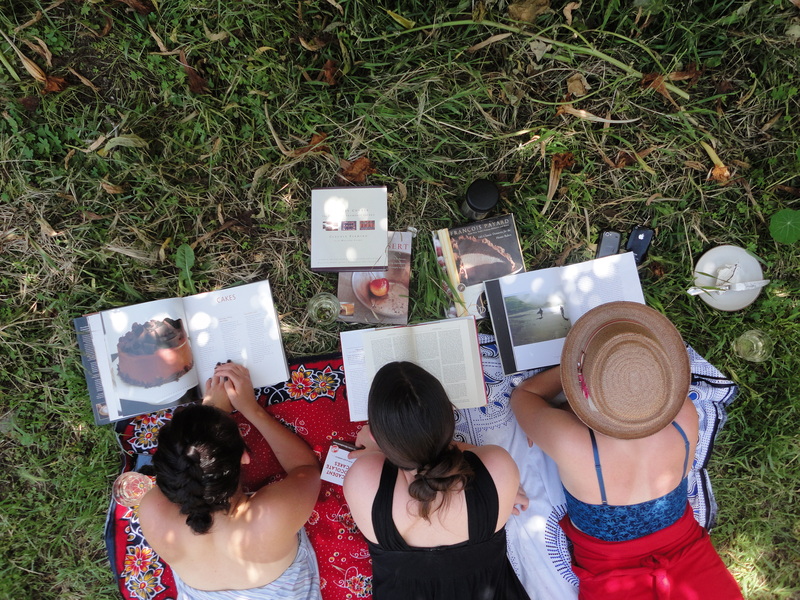 After lunch, we retired to the lawn with several baking books and enjoyed the sunshine. 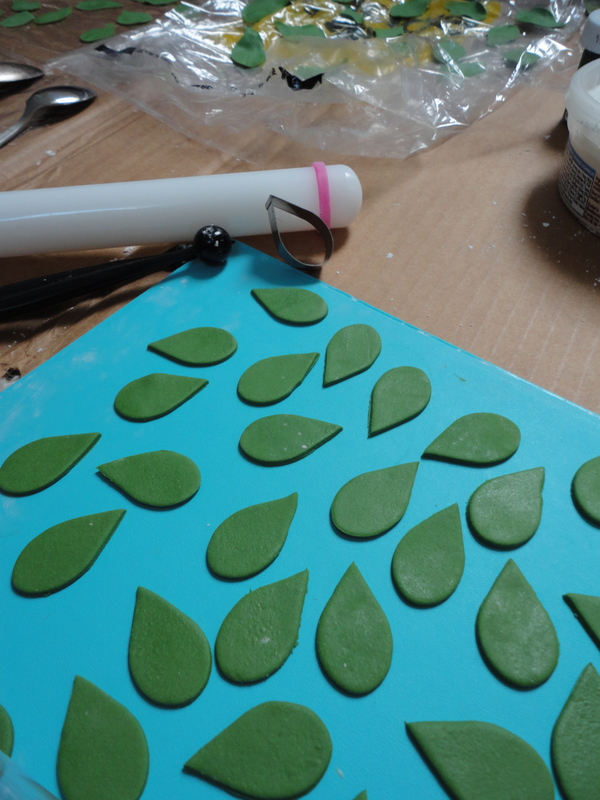 I just moved to San Francisco to go to baking school. I am very excited about it! Today was my first day in the program. It is a small class, 16 of us. 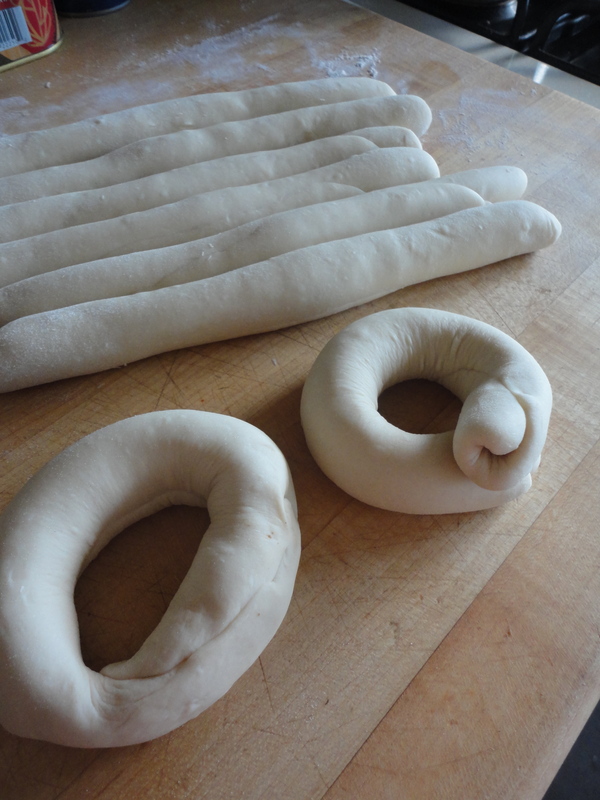 I am really looking forward to getting to know everyone and learning all about bread and pastry! 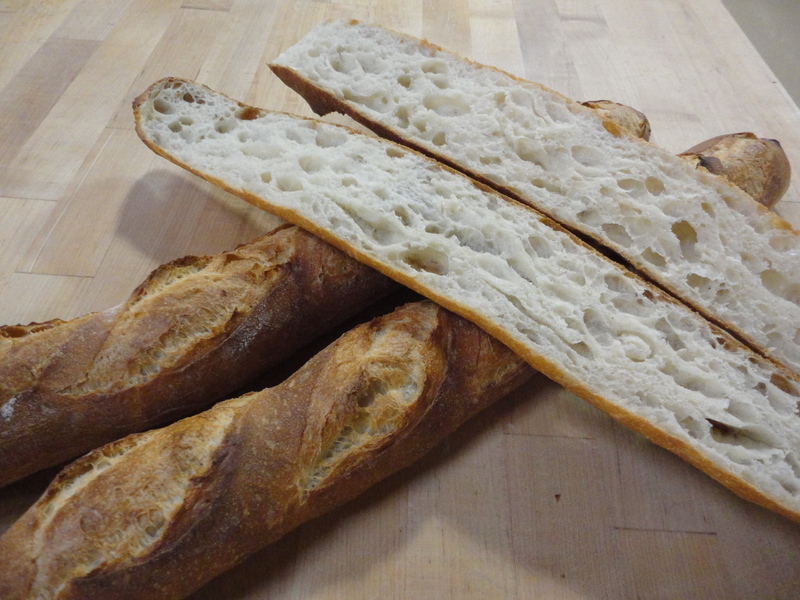 Here is a picture of a couple of baguettes that I made! One of my favorite kitchen items is this adorable copper pan with “ears” it makes it out of the cupboard in the fall when apples are a plenty. 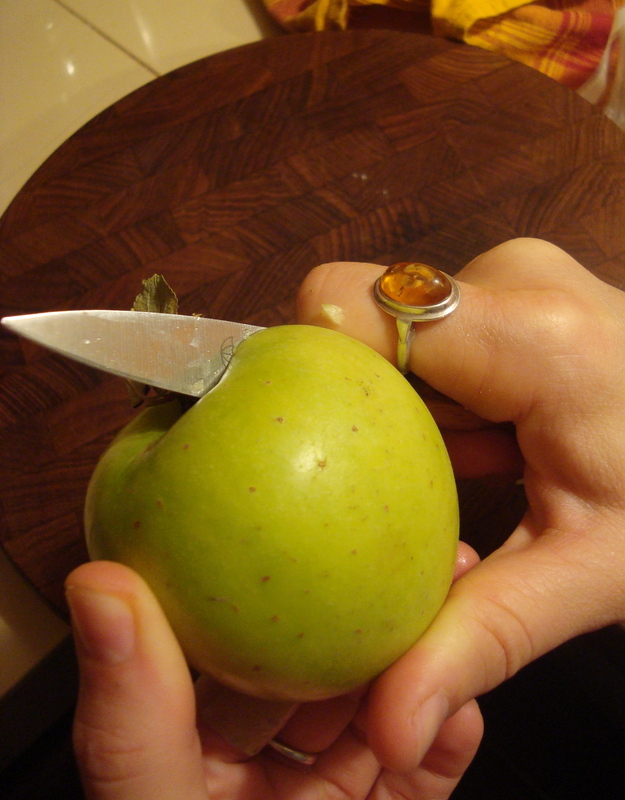 I have had it out for the past week or so, to admire and as a reminder not to let the apple season pass me by. 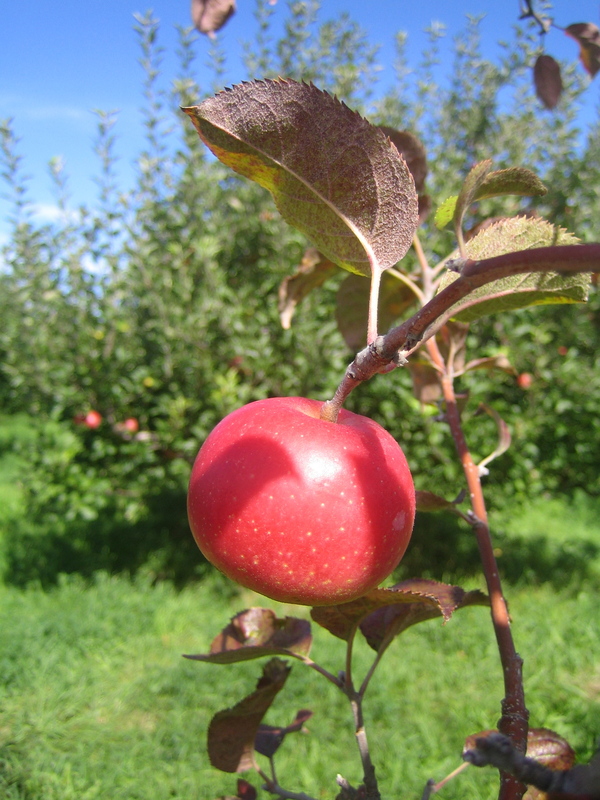 Last weekend my friend Ila and I went to an orchard and got some fresh crisp apples. Tarte Tatin is a classic french dessert, it is somewhat similar to an apple pie in terms of ingredients but the process is quite different and the result is caramelly . We mixed up a small batch of pie dough, enough to cover it only, and put it in the fridge to chill. 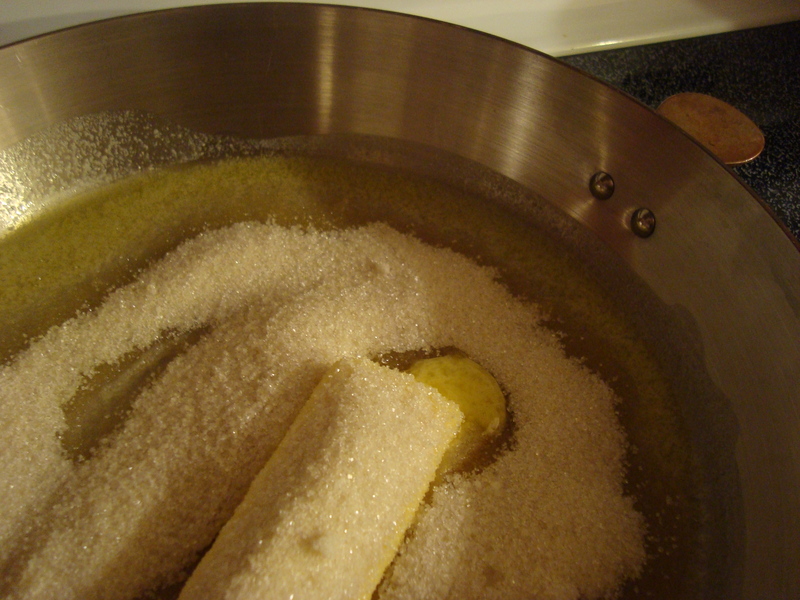 We then melted some butter and sugar in the little eared pan. 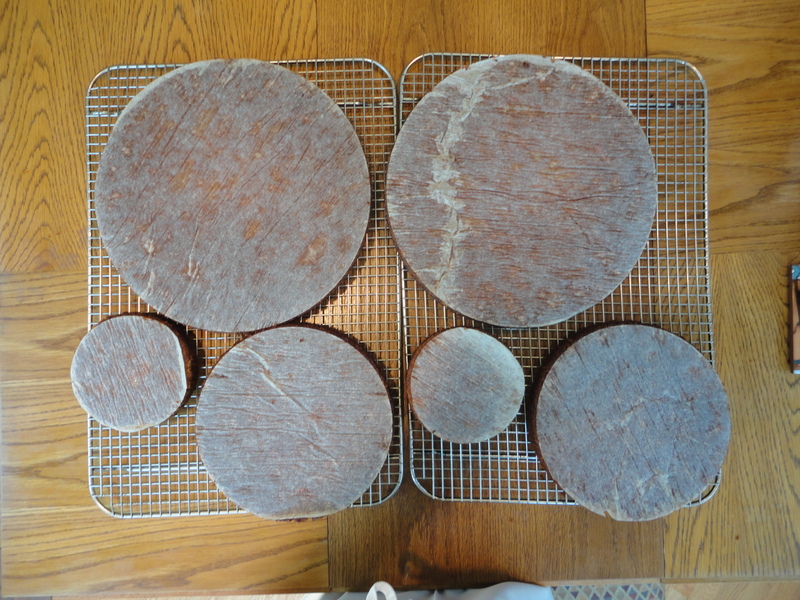 As it was melting, we peeled and cored 7 apples. 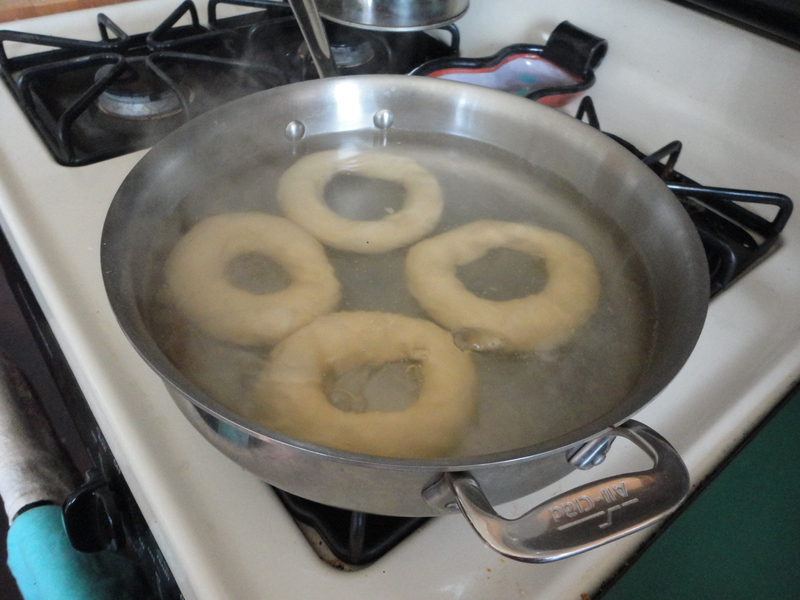 When the butter and sugar were ready, we nestled the quartered apples into the butter in two layers and let them cook on the burner for about 30 minutes. 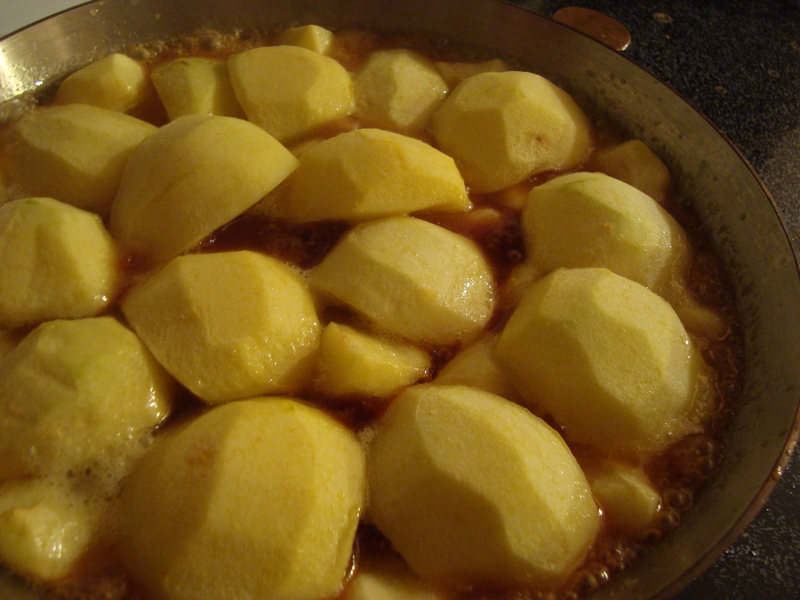 Then the butter was nicely browned and the apples began to caramelize, we transferred the pan to the hot oven and baked them for about another 30 minutes. Towards the end of baking, we rolled out the dough and placed it on top of the apples and baked it for another 20 minutes until the crust was golden. 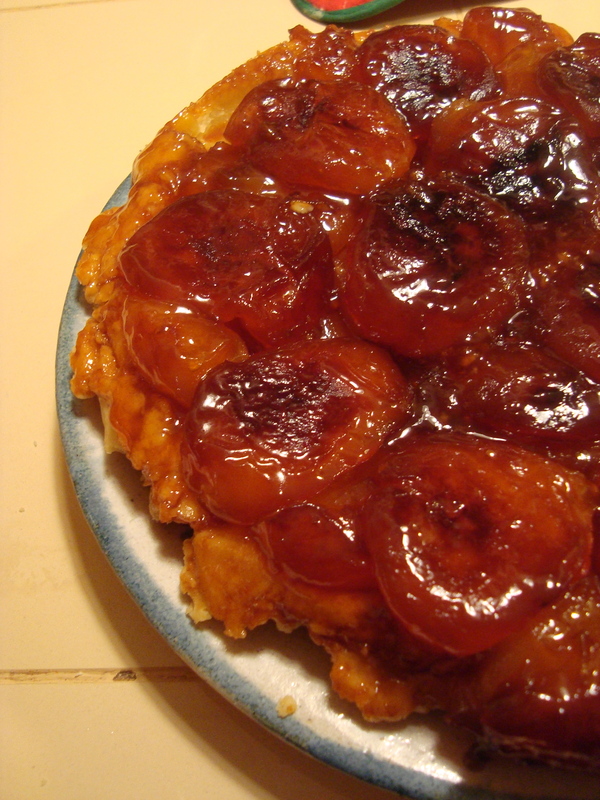 Turning a tarte tatin out of its pan can be messy, especially if you wait to long. 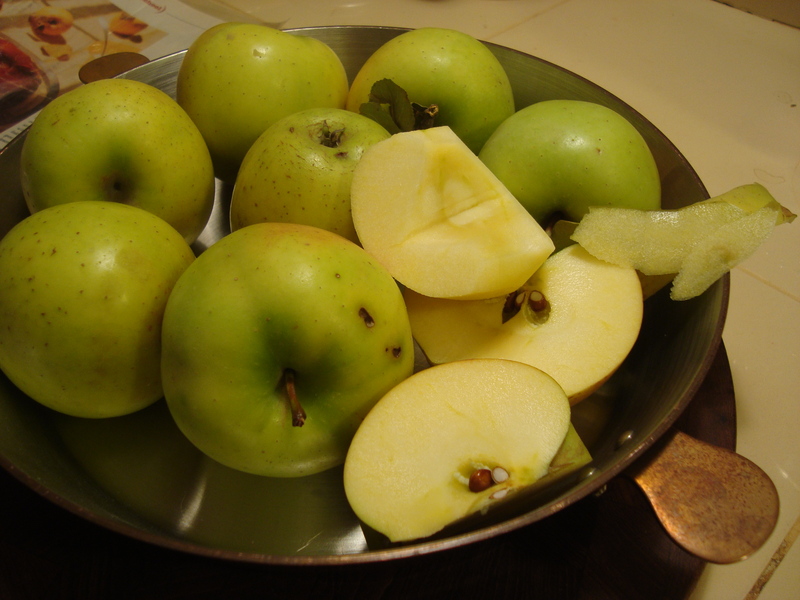 Most of the apples turned out of the pan for us but we did have a couple of apples that stuck to the pan. Serve warm or at room temperature with whipped cream. 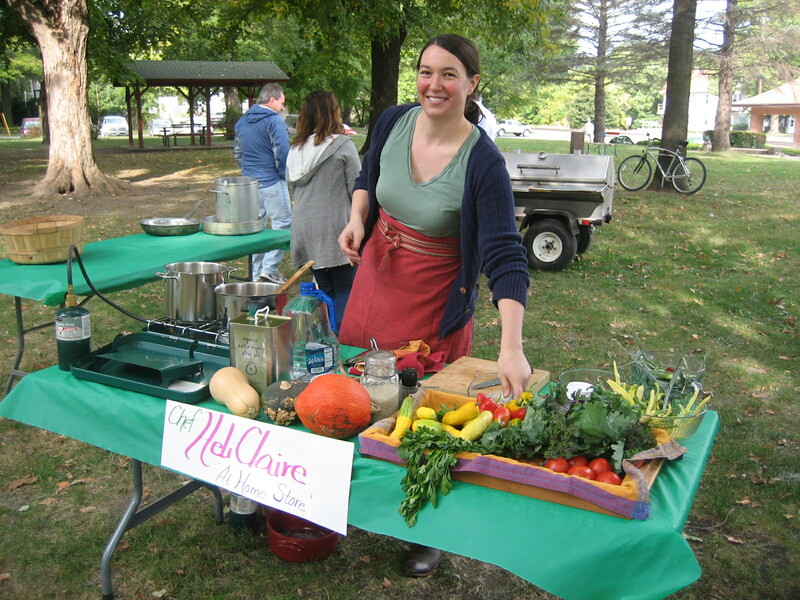 Last weekend I participated in the Farmers’ Market cook-off. We had a table loaded with kale, winter squash, summer squash, peppers, and beans to choose from. I also gathered some parsley, tomatoes, leeks, and onions from some of the vendors. One of my favorite things to eat this time of year is soup, I love it! So that is what I made. Next, I added the peppers, tomatoes, and a few sprigs of parsley. While that was cooking, I prepared the various winters squashes. 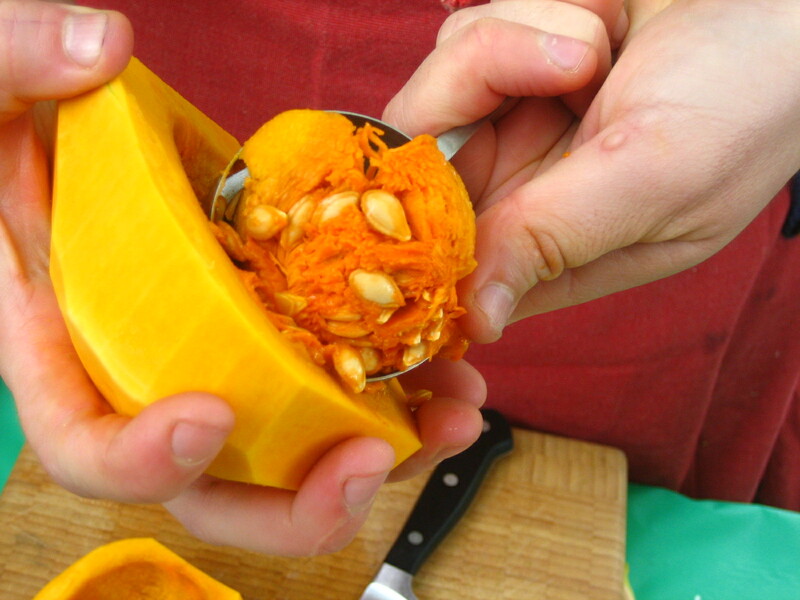 I forgot to bring a spoon to clean out the squash seeds but I discovered a new technique, a 1/4 cup measure is just the right size to clean it out in one scoop! I let the squash saute a little before adding water. When the soup was about halfway through cooking (maybe a little more) I added some green beans, golden flat beans, and summer squash and salt. Then, when the soup was about 5 minutes from being ready, I fished out the parsley sprigs and discarded them. I took out a couple of cups of the soup and blended it until it was very smooth, and poured it back in the pot to thicken the broth. I then added some finely chopped kale and let it simmer until the kale was tender. I finished eat serving with a drizzle of olive oil, some black pepper and minced parsley. My friend has a seckel pear tree, so today on my way home from work I stopped y to see if her tree had any fruit this year. To my delight it did! I didn’t have a ladder with me so I couldn’t get too many but I did get a good amount of “ground pears.” (Being very selective, avoiding the fruits that had already been snacked on.) 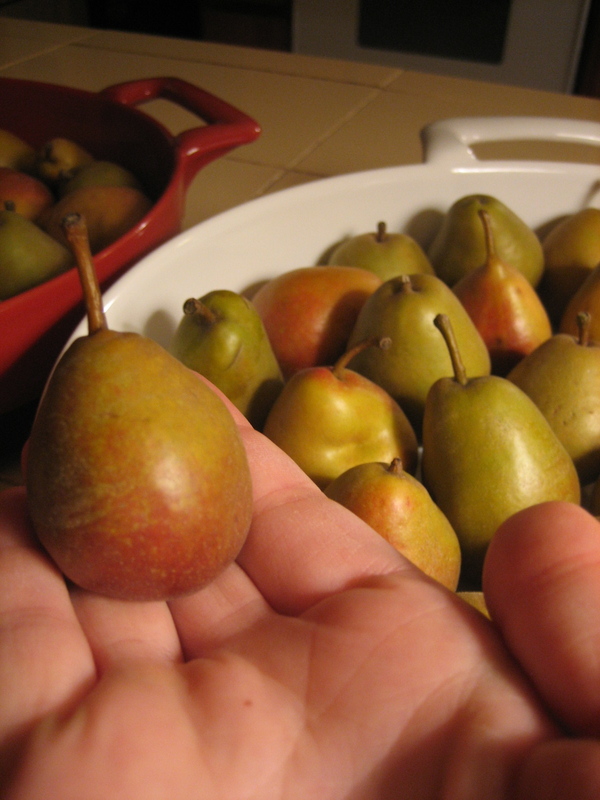 I have my pears displayed on the kitchen counter, waiting to be eaten. 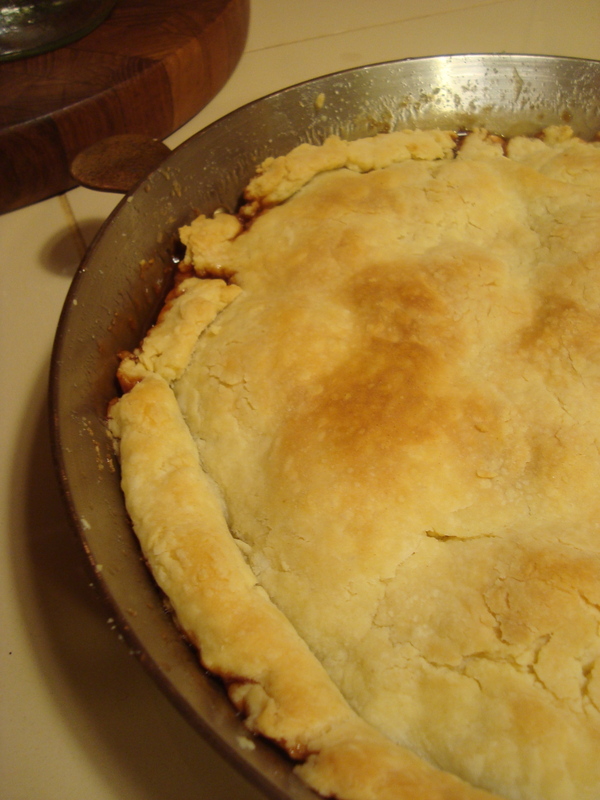 My sister and I will probably can some whole with maple syrup, and I can’t wait to make a pie!